The Old Schoolhouse Magazine was asked to review the Starter Chess Learning Kit from CHESSHOUSE.COM. It includes a soft-sided bag (given the choice of color, I chose black) and vinyl-front fabric-back chess board that rolls up and is contained in the bag, along with all the pieces required for set up (plus a few extra queens). 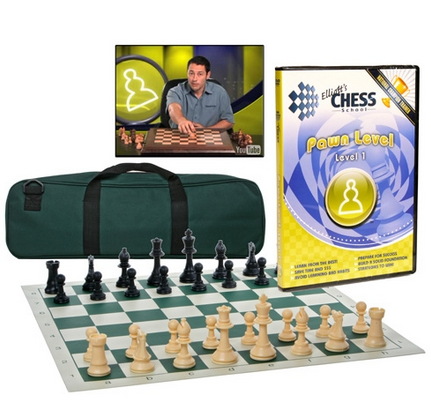 It also includes DVD Elliot’s Chess School Pawn Level: Level 1 that teaches the very beginning basics of the game of Chess. Liberty (10) and Eden (8) played and learned with me. While the ages for play are listed as 4 and up, Ruby (5) and Sterling (6) quickly bored with my lack of knowledge and constant referral the the video and they wandered off and lost interest. Eden and Liberty, though, thoroughly enjoyed themselves and picked up the basics quickly. Pierce (2) made the game a little more interesting, moving pieces at will. We quickly learned to play while he was napping. First, let’s be clear: I’ve never played Chess in my life. I’ve never seen Chess played. Ever. And when I watched the DVD through the first time (we’re going to be wearing it out, to be sure) I got more and more lost. It took jumping in… and referring back to the DVD often, to start to get an idea of what needed to happen. It’s not the simplest game ever. Winning isn’t just a cut and dried thing. There are so many variations of how the game can go it’ll make your head spin. But, we jumped in, played our first game, and guess what? I won. Yes, folks, I beat an 8 and 10 year old team. Such victory. Since that amazing victory, the game comes out often. We tried playing it outside, but it turns out, we still need the DVD often. My only recommendation for Chess House would be a diagram on the Chess board of how set up should be, and perhaps a quick printout of how each piece move. I was ready to take notes, so frustrated with my ability to remember how the game goes, but Eden always remembered and knew so I trusted her memory (it’s usually ridiculously reliable) and went with it. The DVD is organized really, really well. With setup, overview, and how each piece can move in individual segments, it made it easy to find the right section to tell me what I’d already forgotten. Explained and demonstrated by National Master Elliott Neff, the DVD made figuring out what we were doing far, far easier than reading it on paper. I’m quite certain I’d have given up if I’d have had to read the rules. If we ever figure this out (or the girls leave me in their dust, given their pursuit of the game is far more enthusiastic than my brain wants to be!) there are many more levels offered on DVD to continue learning the game in greater understanding. Blaine called one afternoon from work as the girls and I were playing. When I told him what I was doing, he replied, “I didn’t know you knew how to play Chess!” Um, yeah, I don’t very well. But I’m learning. It’s been a fun experience – and a great one to have with my girls. 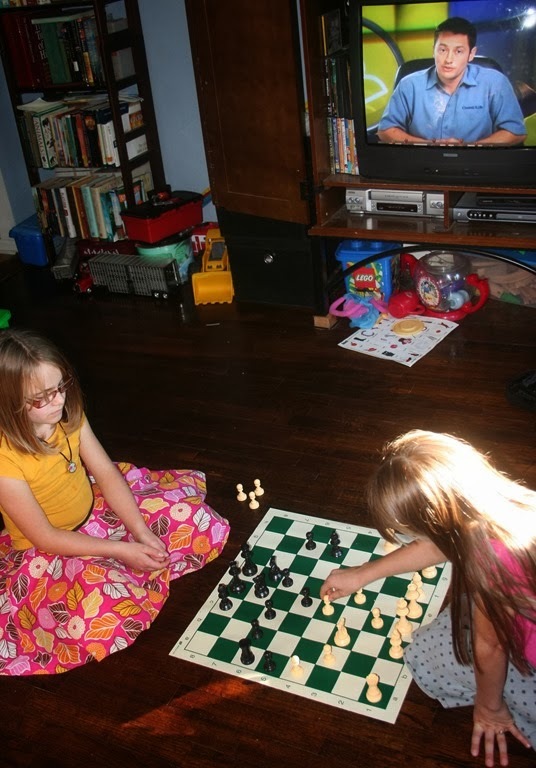 And, as long as I insist we play on the floor in front of the TV so we can continue to double check that we’re playing correctly, it’s pretty fun too. One of these days, I might just challenge my husband to a game. But, knowing his intellect… I’m going to practice for a while longer first. This beginner kit from Chess House retails for $49.95 but is currently listed here for a sale price $39.95. To read more reviews on the Starter Chess Learning Kit from other members of the Old Schoolhouse Magazine’s Review Crew, check out the Review Crew Blog. That would be super helpful! ChessHouse take note, for the beginners something labeled like this would be awesome. 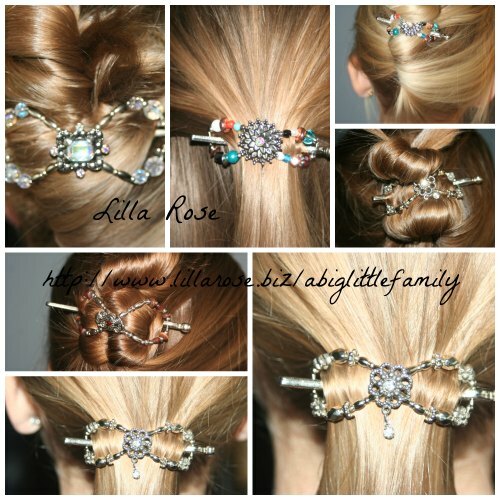 :)Thanks, Jody!